Cheers to Western Tough Month! Each April, the Western community turns pink to support breast cancer awareness and research, designating it Tough Enough to Wear Pink month. The cause hits close to home for our team at Purple Cowboy and many of you in our community. Terry Wheatley, Purple Cowboy creator and founder of Tough Enough to Wear Pink, is a survivor herself; lost her grandmother to breast cancer, and both her mother and daughter have been affected by the disease. Throughout April, we’ll be sharing stories across our social channels to support our friends and family who are “Western Tough.” One of those “Western Tough” teams, Twisted X, will again be sharing breast cancer survivor stories on their Facebook page every day in April. Follow Twisted X and Tough Enough to Wear Pink on Facebook so you don’t miss an update. Browse the Tough Enough to Wear Pink Store and pick up some new Pink gear. Wear pink gear regularly and proudly share the Tough Enough mission. Cheers to a beautiful Tough Enough to Wear Pink Month! Gear Up to Support Tough Enough To Wear Pink! October is Breast Cancer Awareness Month—time to remember those we have lost, celebrate survivors and vow to carry on the fight. If you or someone you love hasn’t had a breast health check-up or mammogram, this is a great time to take that important step for prevention and early detection. This year, we’ll be celebrating Tough Enough To Wear Pink Day on October 19. On October 19, we’re challenging all of our fans to show their support for the fight against cancer by painting the world pink. We encourage you, your friends and co-workers to wear pink. Tell us you’re participating in this worldwide event on the Tough Enough To Wear Pink Facebook page, and we’ll send you a reminder. We’re also celebrating a big milestone. 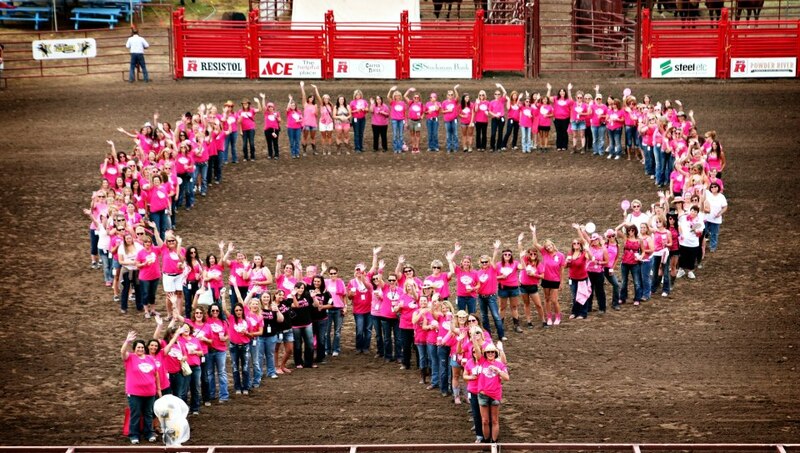 To date, more than $24 million dollars have been raised through Tough Enough To Wear Pink, through rodeos and western events across the country and the generous support of sponsors like Wrangler, Montana Silversmiths, PRCA and Purple Cowboy wines. Our goal is to raise $50 million dollars by the 20th Anniversary of Tough Enough To Wear Pink in 2024. Throughout October, Tough Enough To Wear Pink will be sharing breast cancer “Survivor Stories” collected over the past few months. We’ll announce our “Survivor Stories” grand prize winner of a trip to the Wrangler National Finals Rodeo and Gold Buckle seats at the end of October. Make sure you’re following the TETWP Facebook Page so you don’t miss an update. And if you’re feeling like your pink gear needs a little freshening up, we encourage you to visit the Tough Enough Store and stock up on all your favorites in preparation for October. Don a shirt that shows your support for Tough Enough To Wear Pink with a purchase from Wrangler, TETWP’s presenting sponsor. Find a new belt buckle, watch or necklace in the Tough Enough To Wear Pink section of Montana Silversmiths. Give breast cancer “the boot” when you purchase pink footwear from Twisted X Boots. Contact Twisted X here to find their boots and shoes in stores near you. Relax with a bottle of Purple Cowboy wines! A portion of the proceeds from the sale of each bottle of Purple Cowboy wines—Tenacious Red Blend, Trail Boss Cabernet Sauvignon and Rancher’s Reserve Rosé, go back to Tough Enough To Wear Pink. Follow the Tough Enough to Wear Pink blog and Facebook page for all the latest updates. October is Breast Cancer Awareness Month. It is the month we all take time to remember those who have been lost to breast cancer and those who have struggled through treatment to beat the disease. A sea of pink on television, in magazines, in sporting events is a reminder to all of us to schedule our mammograms. Early detection saves lives. October is the month to salute the doctors and researchers who continue to diligently work to find a cure for breast cancer. 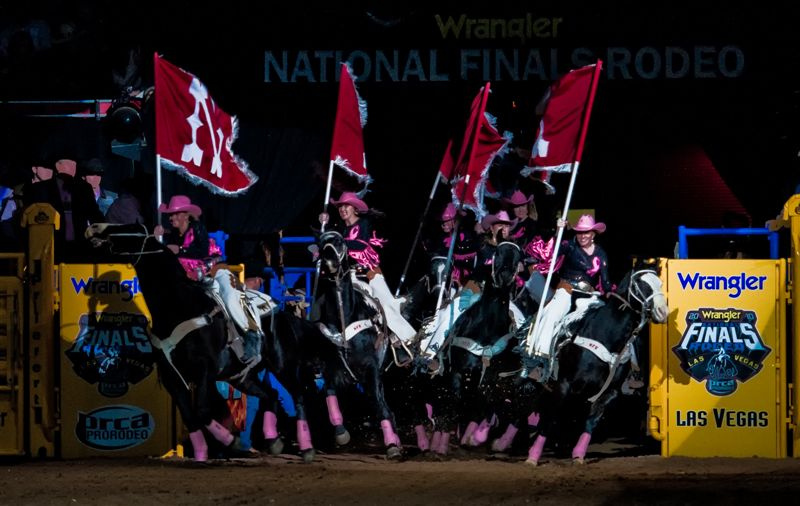 Tough Enough to Wear Pink launched in 2004 at the Wrangler National Finals Rodeo. Tough Enough to Wear Pink was co-founded by Terry Wheatley, the creator of Purple Cowboy Wines and the Wine Sisterhood. Tough Enough to Wear Pink struck a cord within the western community. Why? Because cowboys, cowgirls and rodeo fans all had a friend, neighbor or family member who had been affected by the disease. They wanted to show their support. The sponsors of rodeo also wanted to show their support. Wrangler was the first to answer the call. 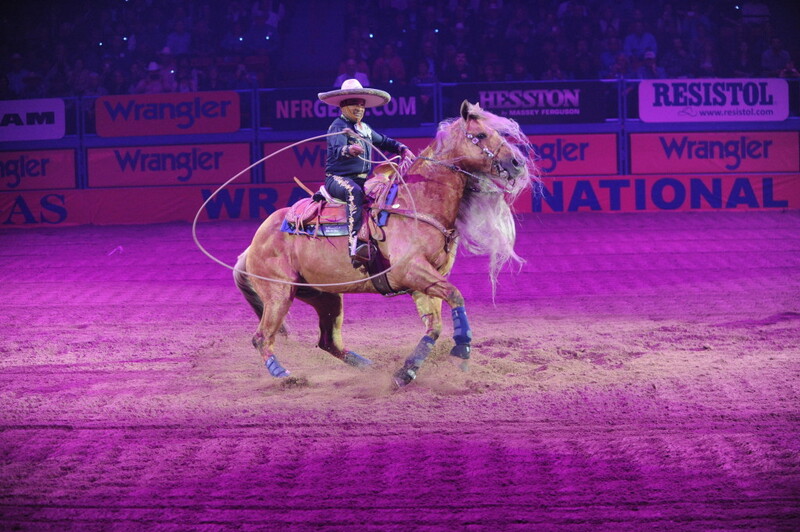 For the first “pink performance” at the 2004 WNFR, Wrangler had pink shirts air shipped to the rodeo just in time for the Tough Enough to Wear Pink night – pink was not a “standard” color in a cowboy’s closet at the time. Now it is because of Wrangler. Wrangler has continued their support by becoming the Title Sponsor of Tough Enough to Wear Pink and has contributed hundreds of thousands of dollars through their sale of pink merchandise to multiple breast cancer charities. Montana Silversmiths was also one of the original sponsors and they continue to support the campaign today. The artists of Montana Silversmiths created a line of Tough Enough to Wear Pink jewelry that is sold in western stores throughout the country. A percentage of the sale supports TETWP. And now Twisted X has joined the sponsor family. Twisted X developed a licensed collection of TETWP boots and footware. Twisted X supports the campaign throughout the year by donating a portion of the sale of every pair sold in the TETWP Collection. 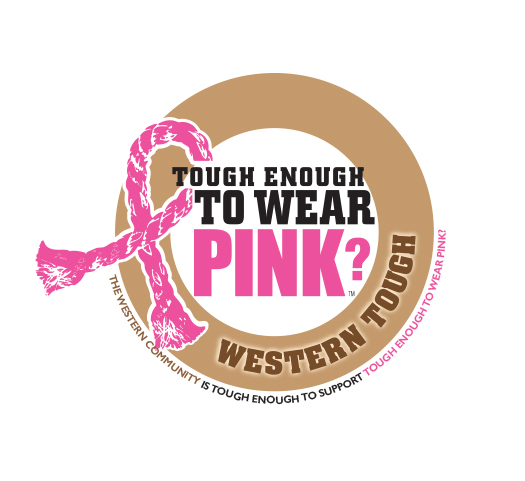 Everyone can show their support of Tough Enough to Wear Pink by purchasing the products from Wrangler, Montana Silversmiths and Twisted X.
October is the Breast Cancer AWARENESS month. Raising awareness reminds us to get a mammogram, it reminds us to be thankful to the doctors and researchers searching for a cure, it reminds us to thank everyone involved in supporting their communities through their Tough Enough to Wear Pink events and it reminds us to the many sponsors that support the campaign. Twisted X Boots, Wrangler®, Montana Silversmiths, American Hat Company, Hooey Brands and others have joined together to designate April as the Western Industry’s month for breast cancer awareness. 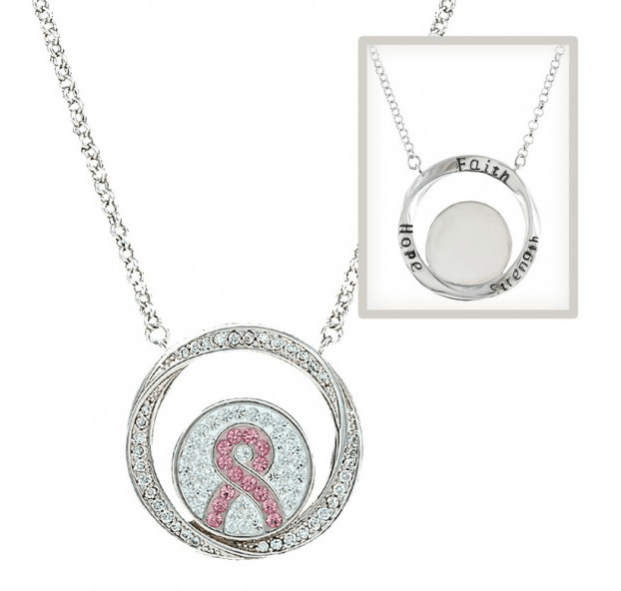 In time for Mother’s Day gift-giving, each company has created lines of pink merchandise, and a portion of the proceeds of the sales will go to the Tough Enough To Wear Pink organization. TETWP has worked in partnership with the western community for ten years to support families facing the disease. The western community continues to support October as breast cancer awareness month – thereby doubling down the effort in the fight against this disease. It’s just another way for Twisted X and others to emphasize and focus on this terrible disease that affects so many in the western community. Twisted X has developed a licensed collection of TEWTP boots and footwear. They are asking individuals to submit their story of their journey through this disease to their website: www.twistedxboots.com. From these stories, a survivor’s name will be chosen for each day of April. Each featured name will have their choice of any style they chose from the Tough Enough to Wear Pink Collection. They have also developed a mini pink boot and tote to offer as a gift with purchase during the month of April for these products. All Twisted X April advertising will feature this promotion. Twisted X will continue to support this cause throughout the year by donating a portion of the sale of every pair sold in the TETWP Collection. Wrangler is the title sponsor of the TETWP™ campaign. Wrangler Western Wear is available at more than 2,500 western specialty, mid-tier and workwear stores nationwide that provide quality men’s and women’s apparel and accessories. For more information regarding the Wrangler family of products or to locate the Wrangler retailer nearest you, visit www.wrangler.com or call 1.888.784.8571. December, 2014 marked the 10th Anniversary of Tough Enough to Wear Pink. “We’re proud to have raised over $20 million since the program began. We are proud of the over 300 rodeos and events that participate each year. We are proud of the western retailers and western manufacturers that participate in the program. And we are proud of the cowboys and cowgirls who have made this campaign their own,” said founderTerry Wheatley. A breast cancer survivor herself, Wheatley is an entrepreneur, wine industry executive, and wife and mother to professional rodeo competitors. “We never imagined that, after ten short years we could accomplish so much. The stories we hear throughout the country of how the money raised from local events has gone to help women are heartwarming” commented Wheatley. Wheatley founded Wrangler Tough Enough to Wear Pink in 2004 with Karl Stressman, former Director of Special events for Wrangler and now Commissioner of the Professional Rodeo Cowboys Association (PRCA). 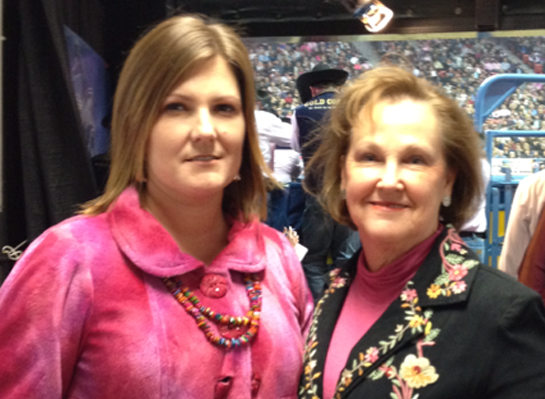 Keeping it in the family…Lacey Wheatley, Terry Wheatley’s daughter-in-law, is the Director of Tough Enough to Wear Pink and coordinates with rodeos and other non-rodeo organizations to create the pink-themed fundraisers. In 2004, Terry was looking forward to attending the Wrangler National Finals Rodeo in Las Vegas as she had for many years. Her son Wade Wheatley was a consistent WNFR finalist in team roping (header) and her husband Jim had been a six-time WNFR team roping qualifier himself. Terry was a senior executive at a major wine company sponsoring the WNFR telecast. But Terry had recently undergone breast cancer surgery and, although things looked positive, it was on her mind. She had lost her grandmother to breast cancer, her mother had a double mastectomy before the age of 40 and her daughter Katie had undergone two surgical biopsies before the age of 20. Terry realized from her own situation that early diagnosis and treatment was key to a successful outcome. She toyed with some ideas to rally the rodeo and western community to get that message across. And then the big one hit. What if, on one night of rodeo’s greatest spectacle, the competitors could be convinced to wear pink shirts? Not a color normally associated with rugged events such as bull riding and steer wrestling, but that was the point. That was how to make a statement. Broadcast on national television, no less. All she had to do was make it happen. In three weeks. Rodeo world to the rescue. Finding pink cowboy shirts proved to be the next challenge. Enter Karl Stressman and Wrangler who just happened to have pink shirts in production for the spring, 2005 line. Problem was they weren’t scheduled to be delivered until the new year. With a few strategically placed phone calls, Karl arranged a special rush production of 200 shirts to be air-freighted directly to Las Vegas just in time for the rodeo. Terry needed to get the challenge out to the cowboys – and fast. The Professional Rodeo Cowboy’s Association (PRCA) jumped in to help, disseminating information about the pink shirt campaign to the finalists. Son Wade his part too, spreading the world to his fellow cowboys and cowgirls. “I gladly accepted the challenge in support of my mom, but I sure couldn’t predict what the others would do. After all, it was a pink shirt” explained Wade. And he might very well have been the only cowboy wearing one that night. Wade wasn’t sure – nobody was – if the world’s toughest cowboys would rally to the cause. Would they be Tough Enough to Wear Pink? That question was answered once and for all as the competitors and spectators turned the Thomas & Mack Arena into a sea of pink that night. To the thrill of Terry, Karl and everybody who helped make it happen, one after another pink-shirted cowboys and cowgirls galloped into the arena sporting the color of breast cancer awareness. The campaign received national media attention….the rest is history. Terry Wheatley, a California entrepreneur left her corporate wine career in 2005 to create Canopy Management, a Napa Valley wine company creating, marketing and selling wine under the Wine Sisterhood™ banner. One of Wine Sisterhood’s wines, Purple Cowboy, is the official wine of TETWP, with $1 for every case sold going to the campaign. 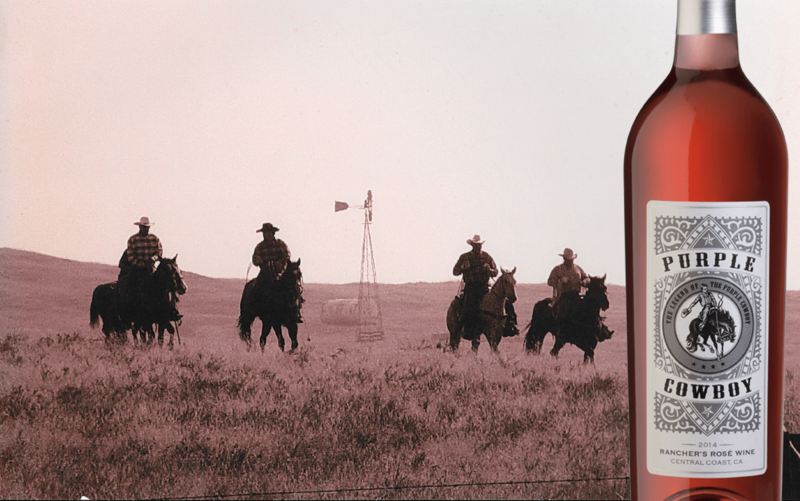 Purple Cowboy is also the official wine of the Professional Rodeo Cowboy Association. “As founder of both Tough Enough To Wear Pink and Wine Sisterhood, I wanted to find a way for our wine to help support the cause. We are supporting TETWP events with wine whenever we can,” says Wheatley. Purple Cowboy wines include Tenacious Red and Trail Boss Cabernet Sauvignon, both from the cowboy wine country appellation of Paso Robles. Terry sold Canopy Management to Vintage Wine Estates in 2014 and now is the Executive Vice President of Sales and Marketing – and continues to market wines that support Tough Enough to Wear Pink.